Skuas are 'piratical' birds, gaining much of their food by stealing it from other seabirds. Skuas are gull-like in many respects, with long, pointed wings, short legs, and webbed feet. 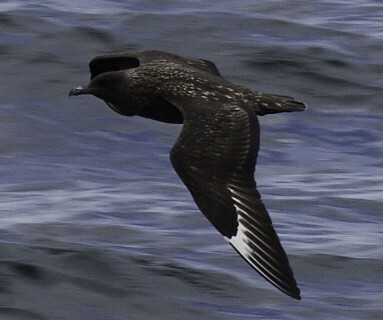 However, skuas have a strongly hooked beak, elongated central tail feathers, and a generally dark coloration, although some birds are of a lighter-colored phase. Skuas also display a very different behavior from gulls. Skuas are swift, strong, and maneuverable fliers. They aerially harass other sea birds until they drop or disgorge fish that they have caught, which is then nimbly retrieved and eaten by the skuas. They are kleptoparasites—piratical feeders that rob other birds of their prey. They are also predators of small mammals, birds, their young, their eggs as well as taking fish and carrion. They make a very small family with just four northern hemisphere species and a few similar southern ones. The northern species, Arctic Skua, Great Skua, Long-tailed Skua and Pomerine Skua nest on the ground in Arctic regions and some temperate regions with two, Arctic and Great, breeding as far south as the Northern and Western Isles in the UK. Breeding skuas are relentless and ferocious in defence of their territory against human (or any other) intruders, especially when the chicks are young. All are long distance migrants wintering off the coast of Iberia and Africa. It is during their migration north in the spring and south in the late summer or early autumn that they are most likely to be seen round the coast of the UK including Arran. In the last ten years there have been records of Great Skua off Arran in nine of these years and Arctic in seven of these years. Long-tailed and Pomerine Skua have only been recorded each once in the last ten years. In those last ten years, there have been thirty-two records of Great Skua and eighteen of Arctic Skua usually single birds but occasionally two or three. Round Arran you are most likely to see the Great Skua , Stercorarius skua. The Great Skua is the largest Skua in the northern hemisphere. The genus name Stercorarius is Latin and means "of dung". 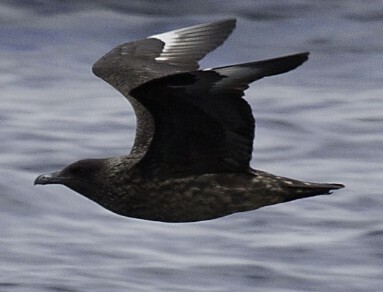 The food disgorged by other birds when pursued by skuas was once thought to be excrement. 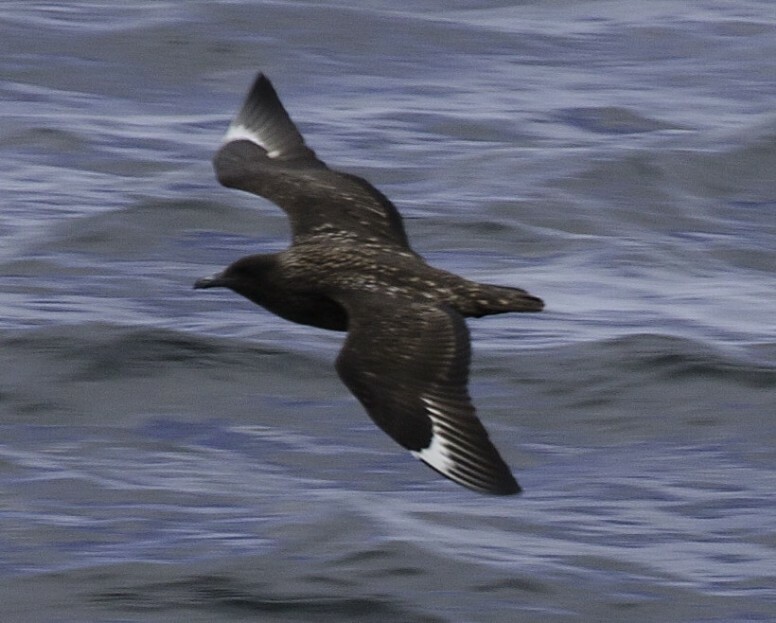 Great Skuas are also called Bonxies. This name does not refer to their aggressive behaviour but is a Shetland word meaning dumpy, untidy women! They are majestic and powerful seabirds that never fail to provoke a reaction. In August, I watched from the "Caledonian Isles" as one pursued a Gannet. It chased it for quite a distance, finally tipping up the tail of the Gannet causing the bird to plunge to the sea emptying its stomach on the way down. Look out for Great Skuas this autumn. At a distance they look stout and dark and show white wing flashes in flight. These white flashes in the outer part of both the upper and under wing can be seen from a considerable distance.